One way or another, terror will reign tonight. School teacher and single mom, Emma Livingston, has been through hell—and back so she thinks. While dealing with the night terrors and active imagination of her five-year old daughter, Hannah, she attempts to lead a normal life. That is, until the demon from those nightmares pays her a visit, too, and threatens both of their lives. Desperate, she reaches out for help—and finds Michael waiting. Michael D’Angelo is known to everyone in Prophet’s Point, Arizona, as their loving elementary school principal. But to The Brethren, he is the most powerful Protector. 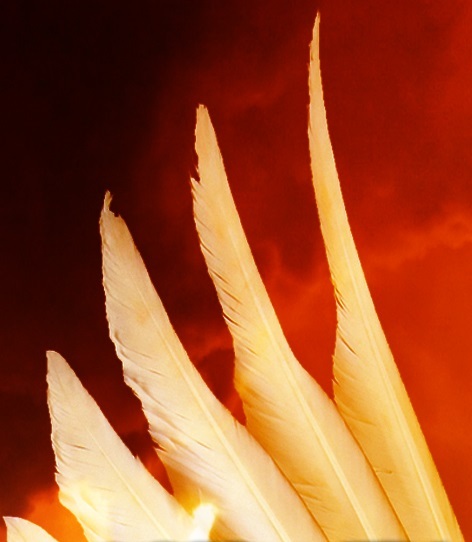 Immortal and angelic does not mean he’s without doubts or fears, as protecting Emma and Hannah from Evil tests his ability to fight his tortured past. As the Trinity is formed, ancient secrets are revealed and faith is tested. When a prophecy is exposed, Hannah becomes the main target and Emma wonders if a normal life will ever be possible again. Hope is like an anchor, but can a mother, her daughter, and an angel overcome the evil determined to annihilate the world?